Box 4 is a nonprofit organization of fire buffs offering rehabilitation services to Dallas Fire-Rescue and fire departments in surrounding cities. 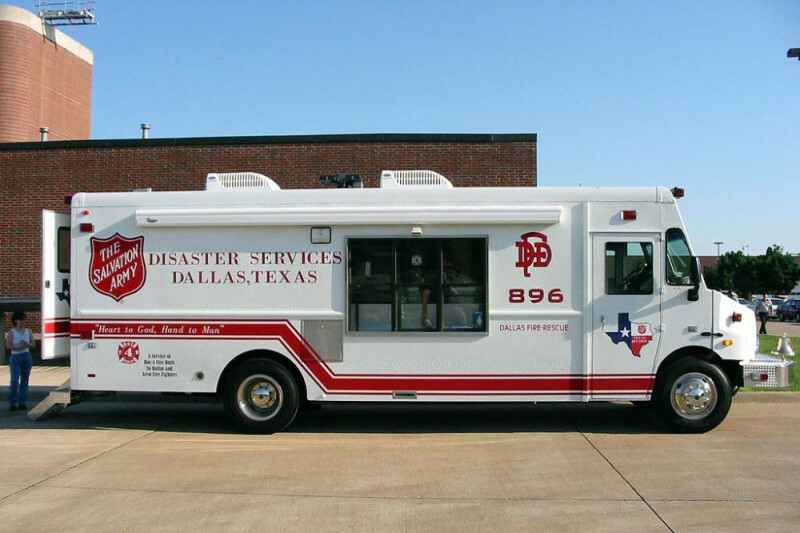 The organization responds to all 2 alarm or greater fires in Dallas and has been requested to respond to incidents such as Hazmat operations, train derailments, and aviation incidents at Love Field or DFW Airport as well as Dallas Police SWAT events. Served out of a customized rehab vehicle, rehabilitation includes providing fire fighters with rehydrating drinks, such as water or an electrolyte mix, snacks, food on long duration incidents, as well as misting fans to beat the summer heat and a heater to take away the chill in winter. Portable chairs allow fire fighters to rest up before going back to work. Our current unit was placed in service in 2003 and has far exceeded its use of life expectancy and the time has come to begin the replacement process. The estimated replacement cost is around $315,000. The Salvation Army, who owns the unit and allows Box 4 to operate it is currently in the mist of several fund raising efforts to be able to raise the money needed to purchase the new unit. This GoFundMe project is our way in helping raise the funds needed to reach to ultimate goal of the new rehab unit. Contributions to this fund are tax deductible as Box 4 is a 501(c)(3); non-profit organization. Thank you to those who have already given. Below is a link to a story NBC 5 DFW this morning about our operations. Greatest organization there is. Always there when we needed them.